YOUNGSTOWN, Ohio: People have asked me why I’ve decided to major in journalism. My answers tend to vary, yet the reasons why have led me from one location to another. 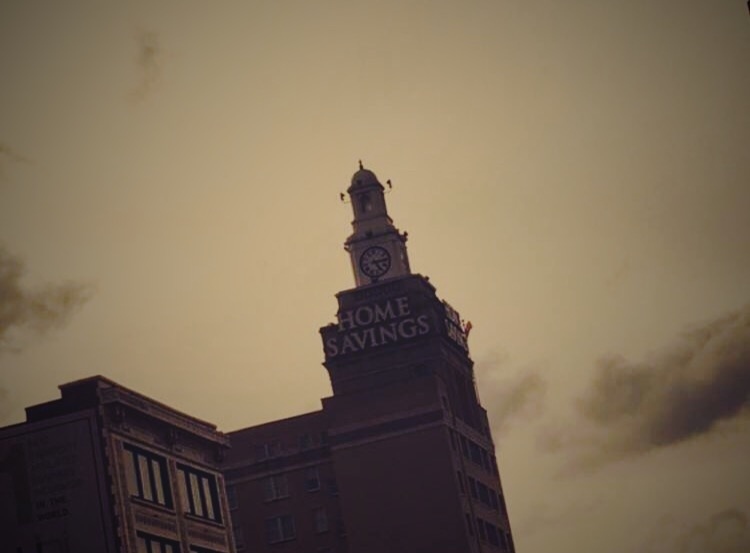 I was fearful of being new at Youngstown State University and to the city as well. Learning how to adjust and cope with a change in life, as well as a change in universities and cities, was something I wasn’t too excited about. The story I am about to tell you comes from my own experiences as an aspiring journalist, and also from being a transfer student. It truly was for the better, and I would be lying if I said I regret the decision I’ve made. Being a journalist was ideal for me. I would be able to continue my love and passion for writing, and continue to be the voice of people. Sharing their stories and experiences with others was something I strived to do. The decision I still regret to this day is clear to me. I shouldn’t but I still do. I completely ruled out YSU as well as Kent State University during my senior year of high school due to the strong urge to get away and be in a new place with new faces. Living on my own in a dormitory sounded like a nice way to escape for a bit. I barely knew what I was getting myself into and I thought I had a pretty good idea of what that was, but I didn’t. Flashing forward to the summer of 2014, when I graduated high school, was the best summer of my life, and I would also say the best year as well. But, after summer had lived and breathed, it was time to think about moving into my dorm at Edinboro University of Pennsylvania. Because I had signed up for marching band, I had to move in a week earlier than most college students An empty dorm room is probably one of the most depressing experiences I have ever had to endure. Don’t get me wrong, band camp was absolutely wonderful. But afterward, coming back to a room, with no one but myself inside its four walls, wasn’t pleasant. Stepping up to the plate of adulthood wasn’t exactly easy. My freshman year of college got better once my roommate moved in and as I got to know my fellow classmates and professors. The marching band was like my second family so I suppose that sufficed. It was a wonderful year filled with experiences I will never forget. But something was definitely missing. Home. I missed my family and my friends. Living on campus at a private college out of state isn’t cheap. I said goodbye to Edinboro for the last time in the spring of 2015 and I haven’t looked back. By the time I came back home, I knew what was next. Transferring sounded like a scary decision to me but I knew it was the right thing to do, especially in the situation I was in. It wasn’t the easiest process but it was a process completed efficiently. Thus, I started to attend YSU in the spring of 2016. My decision to transfer is by no means different from any other student who’ve done the same thing. According to USA Today, more than 33 percent of undergraduate students transfer college at least once. Studies conducted by the National Student Clearinghouse Research Center also show students who are considering to transfer, do so immediately and the decision to transfer tends to be a no-brainer for them. Other students, including myself, may have experienced this scenario. I knew it was the right decision to make and I knew it had to be done as soon as possible. On my first day of classes at YSU, I arrived on campus early so I could give myself enough time to find out where I was supposed to be. I remember walking around in a daze, still trying to grasp I was a new student as well as a transfer student at YSU. Specifically, I was in search of Fedor Hall. I remember seeing Moser Hall, Cushwa Hall, Kilcawley Center and DeBartolo Hall but asking myself, where in the hell is Fedor? As I completed a calm and cool process of elimination to the places I had checked, it was time to look at the directory like a lost freshman on her first day. As I proceeded on my journey to my first class at YSU, I realized Fedor was off the beaten path. Fedor Hall was hidden behind Sweeney Hall. I was finally relieved when I had entered the dry, warm building as I proceeded down the steps toward the basement. My first impression was, what a creepy location this was to have a class. At the time, this was where YSU’s student newspaper, The Jambar, was located. This is also where I met Mary Dota, the first person to come into my life at this university and who assured me I was in the right location. As the semester went on, I got to know great students and professors. The memories we share are engraved in my mind and will be forever. My time since then in Youngstown, Ohio, as a student at YSU has been wonderful. The city didn’t let me down like I had let it down back when I was a high school graduate deciding my next step. I was closer to my friends and family. Living at home and commuting to campus, despite the 40-minute drive, was working out much better. I’ve spoken with two international students who attend YSU, Lei Chen from China and Mustafa Alyousef from Saudi Arabia. I’ve also spoken with faculty member, Taci Turel, from Turkey. 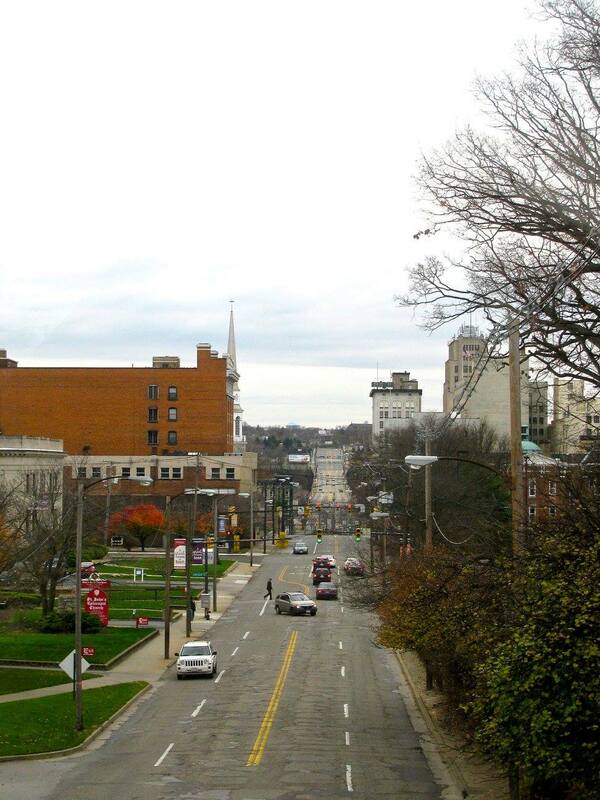 Chen thinks Youngstown is a good place to study because the people who live in the area and who attend and/or work at the university are extremely welcoming. Chen has been in the area for about a year and thinks YSU is helpful to international students. Alyousef came to the United States from Saudi Arabia and has lived in Norman, Oklahoma and Flint, Michigan, prior to coming to Youngstown. Alyousef said Youngstown is definitely better than Flint but also thinks this particular city lacks things to do. Alyousef said he doesn’t drink, so doing things downtown is limited for him. His advice for being new to this particular area is to try and have fun and interact with local people. Turel, originally from Turkey, is an associate professor in human ecology at YSU. Turel said the international students who come to YSU are very mature and responsible. Turel said she dislikes the weather in this area and it is different than the weather in Turkey. She said it only snows once or twice in Turkey during the winter season, compared to the frequent snowfall in Youngstown. This was a big change for her. Let me reference back to the beginning of my story. People have asked me why I’ve majored in journalism. Or, now they ask me why I’ve transferred. The answer to those questions show in my articles and photographs I write and take for the city and the people of Youngstown. Students who have gone through similar situations like mine may or may not agree depending on their circumstance. My love for the craft of journalism has remained strong as ever, but just in a new setting. Saying thank you to the city that let me in, when I let it down, will never be enough. I’m hoping the stories I decide to tell and write about will be.